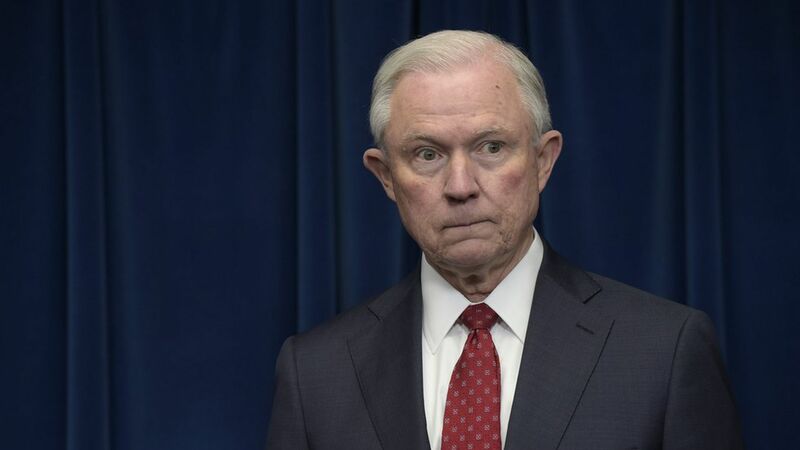 Jeff Sessions discussed campaign-related matters with Russian Ambassador Sergei Kislyak during the 2016 U.S. presidential campaign, including policy issues important to the Russian government and the potential relationship between the Russian government and a Trump administration, according to current and former U.S. officials, The Washington Post reports. The evidence: This report is based on U.S. intelligence intercepts of Kislyak's accounts of two conversations with Sessions, who was a foreign policy advisor to Trump at the time of the alleged conversations. One big caveat: Russia is known to create false intelligence reports to sow confusion in the U.S., and Kislyak may have exaggerated his meetings. One U.S. official said that when Sessions testified that he had no recollection of an April encounter with Kislyak, he was giving "misleading" statements "contradicted by other evidence." Sessions in March when he recused himself from the Russia probe: "I never had meetings with Russian operatives or Russian intermediaries about the Trump campaign." Why it matters: Recent reports have shown that Trump is irritated with Sessions for recusing himself from the probe in the first place.